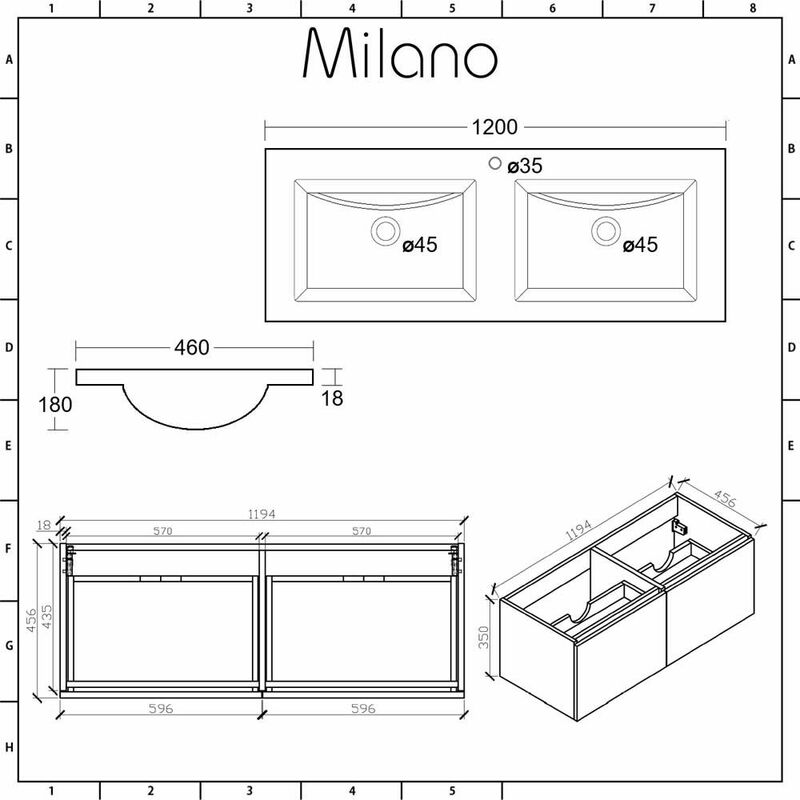 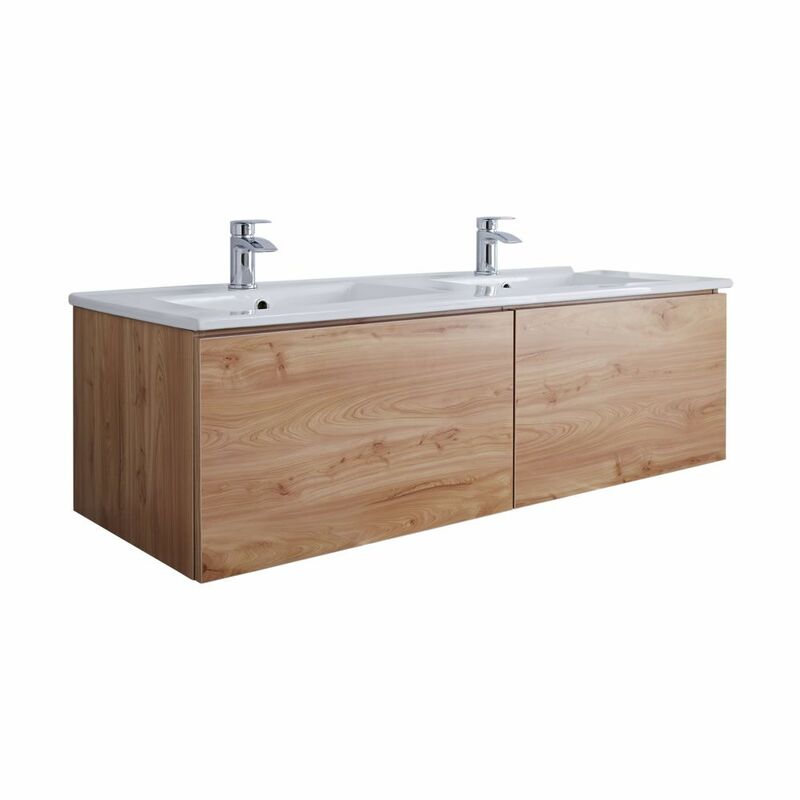 Create a luxurious effect in your bathroom and add extra storage with the wall-mounted Milano Oxley 1200mm vanity unit and double basin. 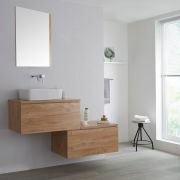 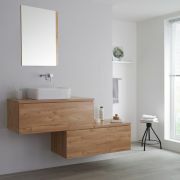 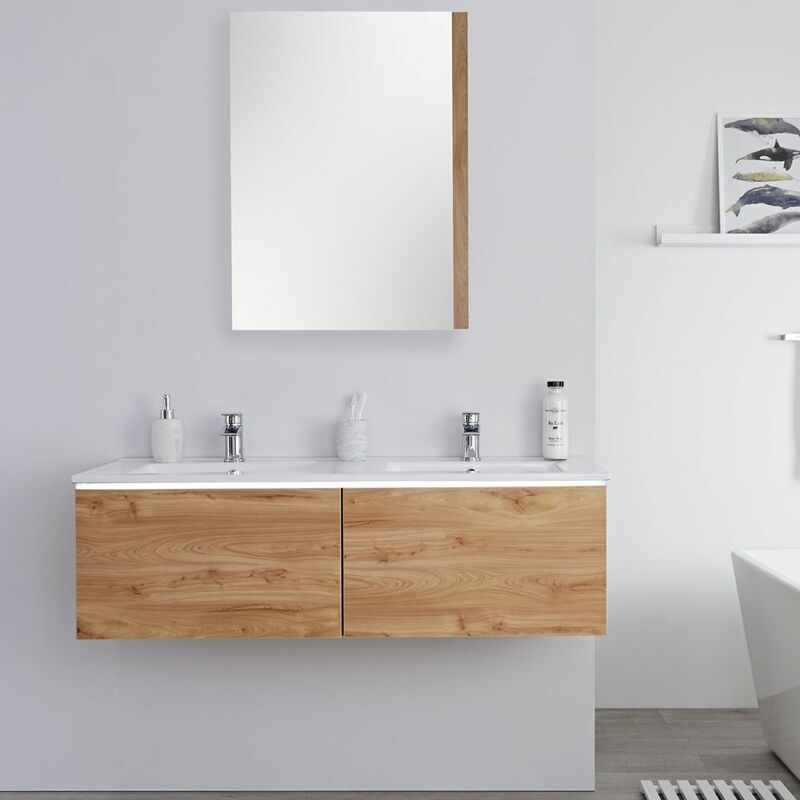 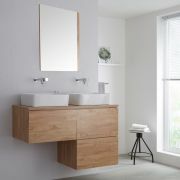 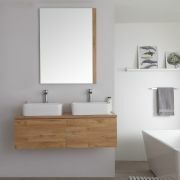 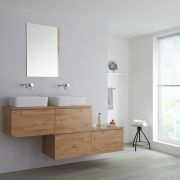 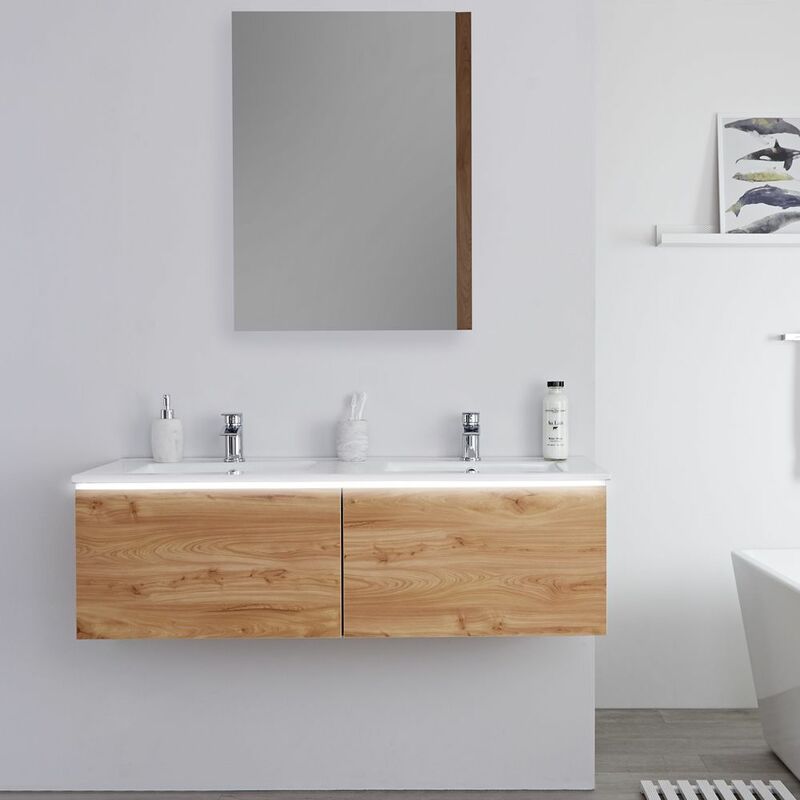 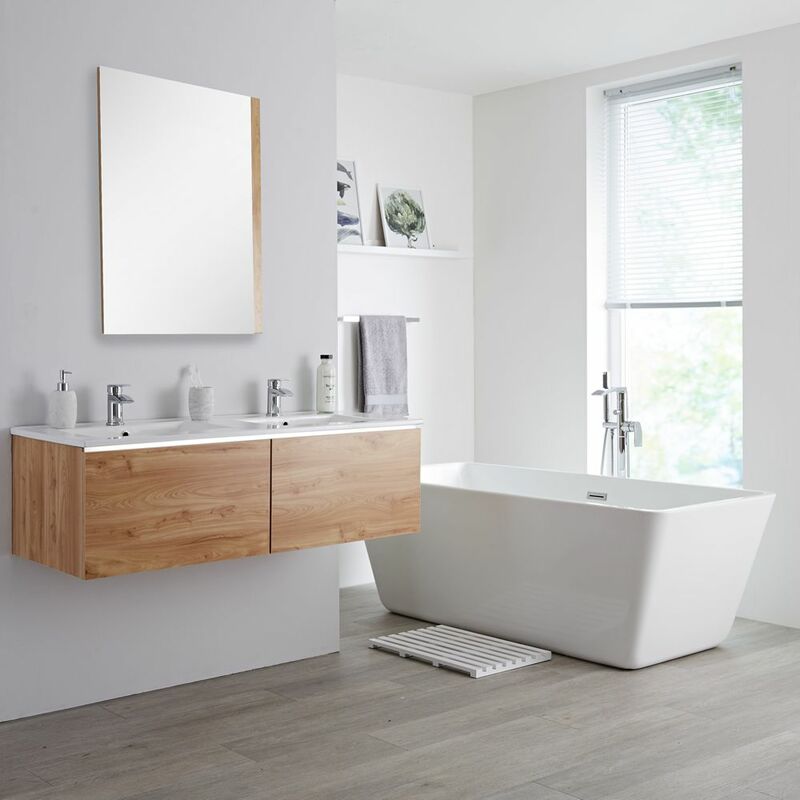 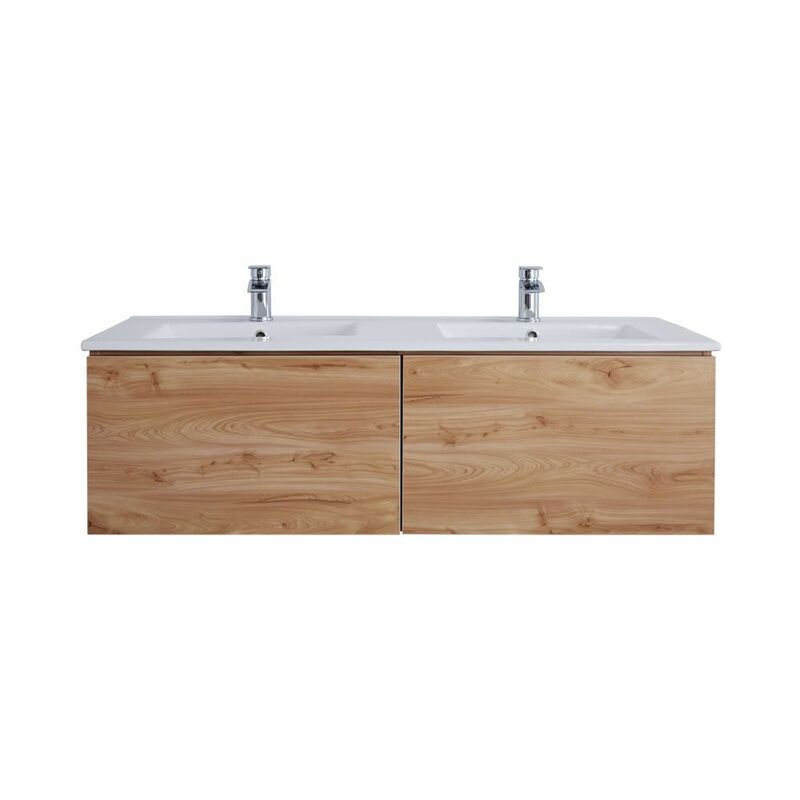 Finished with a beautiful golden oak woodgrain effect, the Oxley vanity unit is robustly made from moisture resistant engineered wood to ensure long-lasting durability. 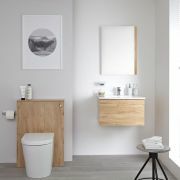 Your toiletries and bathroom essentials can be stored away neatly thanks to a pair of spacious push to open soft close drawers that are built into the vanity unit. 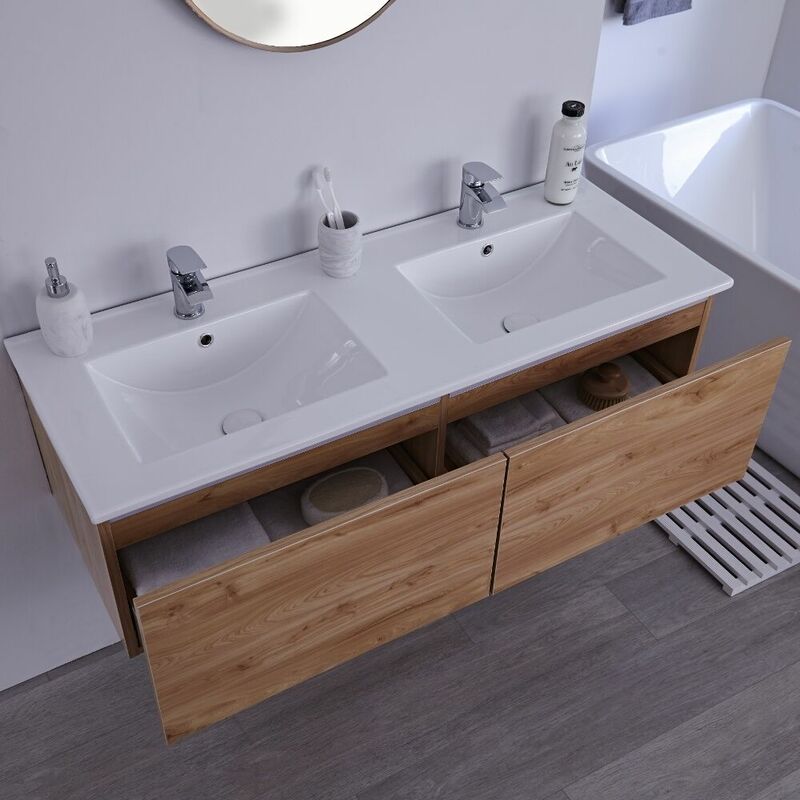 A ‘his-and hers’ style is achieved thanks to the high quality ceramic double basin that includes an easy to clean white glaze finish. 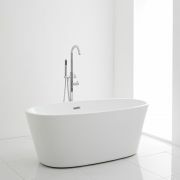 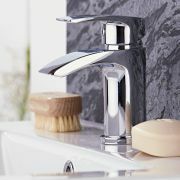 Each basin includes a single tap-hole to enable you to personalise the final look with a choice of mono taps from our range.